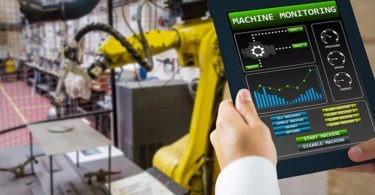 Released in December 2018, Oil and Gas IQ’s (www.oilandgasiq.com) industry report — survey — on digital transformation shows how far advanced digital processes and predictive maintenance practices are in this segment. The report, “Digital Transformation for Oil and Gas: What’s Important to the Industry,” surveys over 200 oil and gas professionals from the U.S., Europe and the world. Not surprisingly, the priority for the oil and gas (O&G) sector is predictive analytics, smarter automation and devices. One of the report’s author’s points to the clear “digital momentum” within the oil and gas industry, but with a caveat. “These are still very early days for predictive analytics in O&G and in truth, it’s not having a huge impact yet,” says Martin Richards, senior director of Energy Industry Strategy at OpenText. The reliability initiative included three primary assets in Texas, Oklahoma, and North Dakota, along with implementation in three phases. “We created notifications, work-order creations, and equipment-health history, so we could begin doing reliability on equipment in the field,” stated Musser. Marathon built out operator and technician screens using Synactive’s GuiXT (Synactive Software Komponenten GmbH, Saarbrucken, Germany, synactive.com), which provides user-interface customization within an SAP environment. Remote equipment monitoring can include valves, motors, and components that have sensor relationships. “After a year of the first phase at the Eagle Ford development [Eagle Ford region of South Texas], we had implemented a functional system to collect data on all the wells, completed operator training, developed maintenance plans, and turned the system over to users,” explained Musser. • In the past, manufacturing surveys on digital initiatives or predictive maintenance pilot projects used to have “senior management approval” ranking number #1 as the top challenge in getting IIoT projects off the ground. Not this one, question #5 of this survey finds senior management approval in the 3rd position with culture and integration with existing infrastructure ranking higher. • The survey says 67% believe integration (to the enterprise) is very important or important: Takeaway: One big fear for many plant managers new to digital projects is interoperability or the ability to connect multiple applications. The good thing is industrial networking solutions are NOT rip-and-replace, but plug-n-play (w/integration) industrial networking solutions like gateways or the OPC protocol.